Ray Ban is the trendsetter of Sunglasses. Created over 75 years ago each frame is crafted and detailed with the first Ray Ban frames in mind. Impeccable attention to color and contrast Ray Ban makes a statement that is of legend and prestige. With impressive new color ways and design shapes Ray Ban makes a lasting statement that is timeless and fashion forward. The frames fit very well. The frames are a little bit more flexible than a regular plastic frame, which makes me feel like I'm not going to break them. Love them and wear them every day! a little flimsy, but they are authentic ray bans so it must just be the quality of the brand itself. would order again, love the color and style. Authentic Ray-Bans! 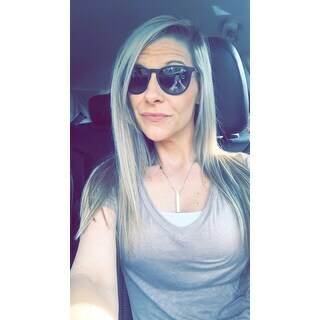 My college aged daughter loves these sunglasses. She’s had them for over a year and they’re still going strong. 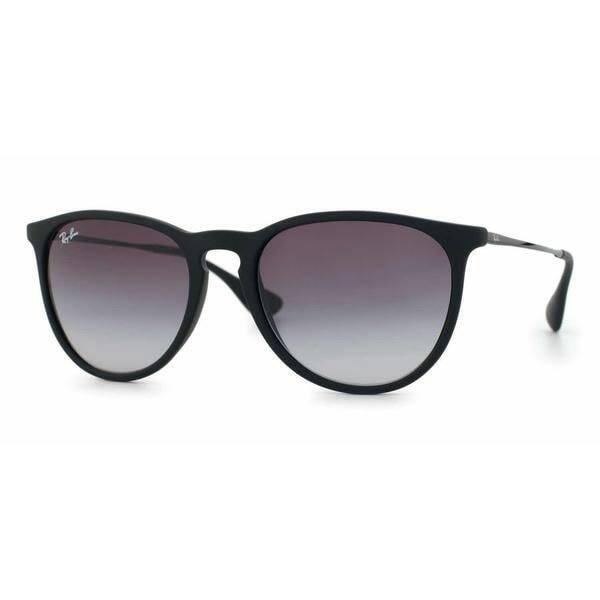 Fantastic price for stylish Ray-Bans. This was my first pair of ray-bans and I'm so happy I decided to try this brand. The fit is great and suburb craftsmanship. You can't go wrong with ray-ban sunglasses and I will definitely be buying more. Bought these Ray-Ban Erika Classic sunglasses as a present for my daughter. Love the design and they are very comfortable. The price was significantly less than other sites. This is the second pair of Erika's I've bought. I will only buy ray-bans from Overstock because the price is perfect! Excellent quality and classic style! Bought these as a Christmas gift and she absolutely loves them. Ray-Ban is your classic "go to" style for sunglasses and the product is 100% solid. Ordered this product several weeks ago and I still have not received them......... if I had to rate the customer service I'd give maybe a half star! As far as rating the product, that remains to be seen. Absolutely love these sunglasses. I had them before and bought them again because I thought I lost the last pair. They’re stylish and comfortable. This was a great deal for Ray Bans. Purchased these for my better half and she loves them. They fit her face perfectly. She likes the fact that there lightweights but don’t feel cheap! Great buy! These sunglasses shipped relatively quickly and came with an authentic case and cleaning cloth! (I compared them with my other rayban case) I believe they are authentic, have the rb etched into the right side of the glasses, the logo in the upper left hand corner and the number on the side of the arm. They are very light and comfortable on my face and do not get stuck in my hair! "Are the lens polarized? " "Do you have any idea when this item will be restocked?? " At this time, we do not have an estimated restock date set. We recommend signing up for email alerts. Once the item has been restocked, you will receive an email notification. Love Ray Bans but couldn't afford them. Now I can with this great sale. Had tried them on over a year ago at Saks. I didn’t buy them and was sorry. These will be light weight and super comfy. Now I will have them and it’s exactly what I wanted and cheaper. I have Prada glasses that after an hour they are too heavy for me, but beautiful.